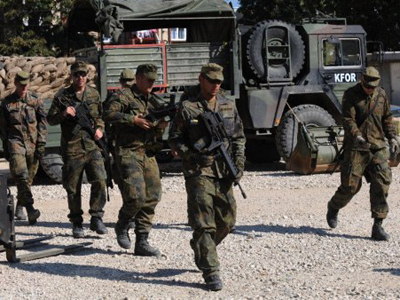 The impartiality of KFOR troops in Kosovo is highly questionable, but the current clashes there won’t escalate into a full-scale conflict as Belgrade fails to follow Serbian national interests, believes foreign affairs author Srdja Trifkovic. 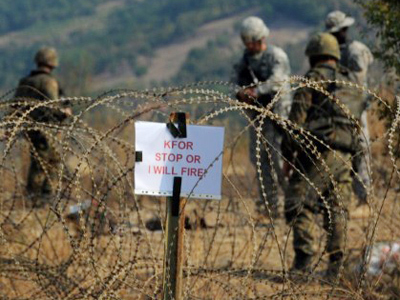 ­The recent developments near Kosovo’s border with extra NATO peacekeepers moving in to help bring calm, but instead provoking armed clashes, lead Trifkovic, a foreign affairs editor in US 'Chronicles' magazine, to question their neutrality. “It is rather ironic that we use the term 'peacekeepers'. Because this implies someone who is impartial, who is there to lower the tension perhaps to prevent violence. Let us imagine, for arguments sake, that Bashar Assad has sent his security forces against a group of Syrian demonstrators and those troops were met with stones, and they then fired live ammunition back and then claimed they did it in self-defense. I think that already we can hear the laughter of Western politicians and media. And yet they would have us believe that they were acting in self-defence, when firing rubber bullets and live ammunition at rock-throwing Serbs,” Trifcovic told RT. He went on to recall the events of 2004, when Albanians rampaged through some regions of Kosovo destroying whole Serb districts and Christian monuments. “The same KFOR contingent remained remarkably restrained, not even thinking of firing at the Albanian mob, which went on a rampage torching thousands of Serbian homes and destroying dozens of Serbian churches including the 14th century cathedral in Prizren, which the Germans were supposed to be guarding. Instead they were diligently videotaping the proceedings, but didn't move a finger to stop them”. “It will be argued from the NATO side that they have to preserve their credibility of actually finishing their job that remains unfinished,” he predicted. 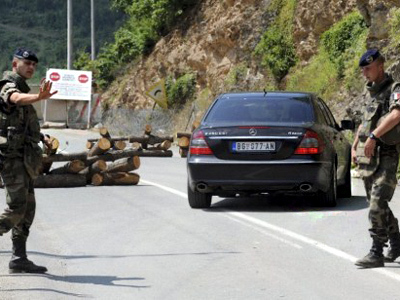 But the most unfortunate thing in Trifcovic’s eyes is that the Kosovo Serbs’ barricades have turned themselves in; he believes that without supplies from central Serbia they cannot withstand the pressure for much longer. “The Belgrade government will cave in, as they have done time and time again, because the Tadic regime is running with the hares and hunting with the hounds at the same time. On one hand they claim they want to preserve Serbia's claim to Kosovo, on the other whenever pressured by the West they cave in and capitulate. 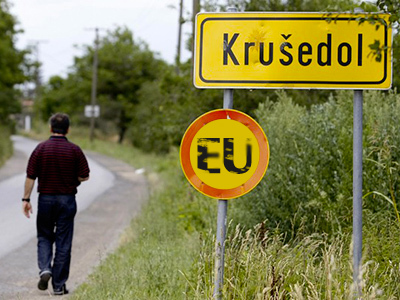 They are effectively unable and unwilling to protect Serbian national interests”. 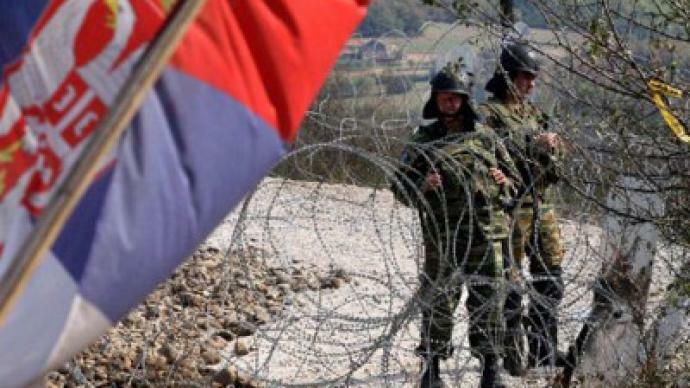 ­However, Balkans political expert Marko Gasic believes that in the long-term this border dispute could eventually escalate into all-out conflict. “In the short term – no. Serbia is too weak and has a government which does not believe in governing this part of the territory, or at least pays only lip service to the idea,” he told RT. “So, there is an internal Serbian problem and an external NATO problem. 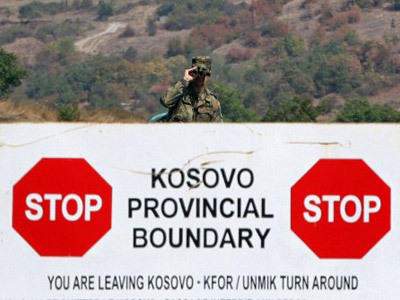 In the long term there will be conflict if this goes to the Greater Albanian project because it will mean that all of Kosovo will have been kidnapped, taken away from Serbia by the Greater Albanian project creators and their Washington sponsors, and indeed their Berlin sponsors. And that will be an unacceptable solution for the region”. “That’s what they are about. They are about controlling the flow of oil, controlling the security of energy supplies through this part of the region. NATO is about control of territory and control of resources. That’s why they are going to stay on the side of those whose country it was not, they will reward the organ stealers and Greater Albanian terrorists with a country because then the Albanian mafia will owe them big time. That’s the NATO plan,” he concluded.